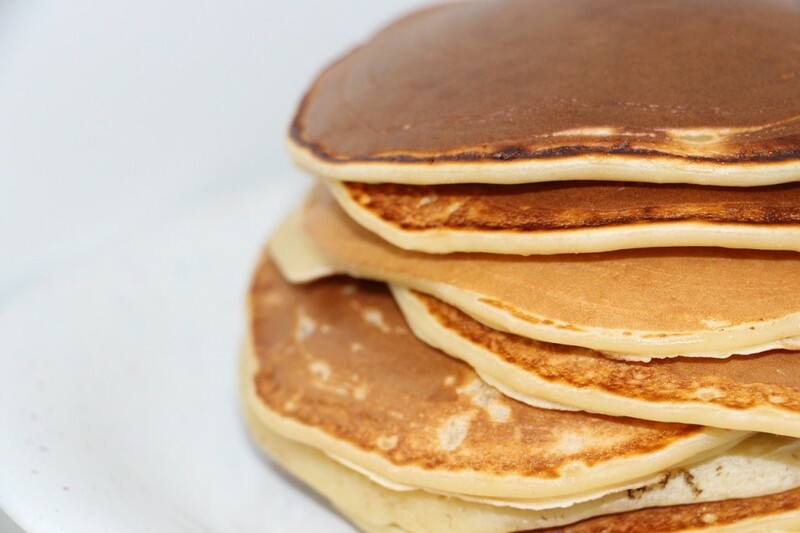 The Internet told us that this week started off with National Pancake Day. 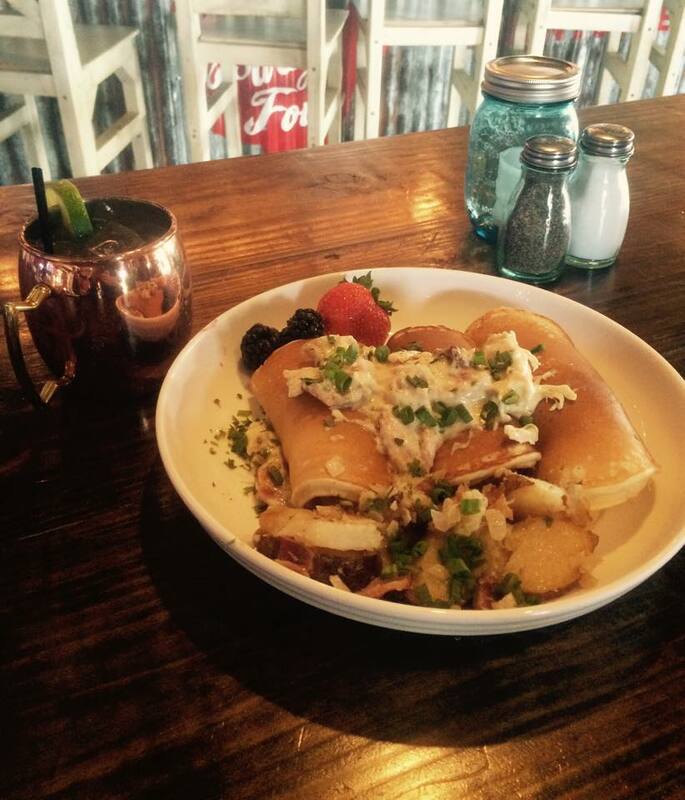 We might be a little late on the sharing front here, but our team observed the day appropriately: thinking about our favorite Nashville pancakes. 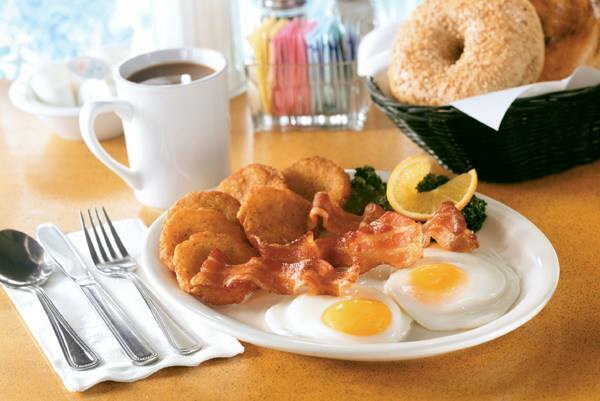 Like most cities, we have our easy and totally passable chain options, from IHOP to Cracker Barrel. But all pancakes aren’t created equal, and all pancake cravings aren’t the same. So our list digs a little deeper. If you’re aiming to start your day with pancakes that are beyond standard (or hey, close your day — a lot of these places are the all-day-breakfast kind), here are some solid Nashville options. 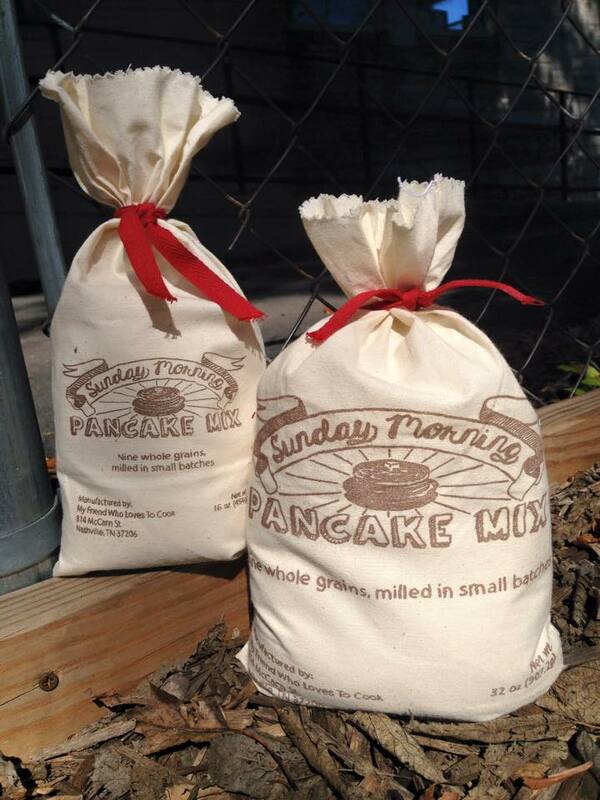 Anyone can Bisquick it, but if you want something special — more flavorful, more healthful — Nashville-made Sunday Morning Pancake Mix is the way to go. Local entrepreneur Sam Williams makes her mix with nine freshly milled, organic grains (stuff you expect like oats and wheat to spelt and flax), and the result is something all-around better than we grew up on, but just as easy as the old grocery-aisle box. You can find it at lots of places around town (like the Batch store at the Farmers Market in Germantown), or buy through the Sunday Morning Pancake Mix website. 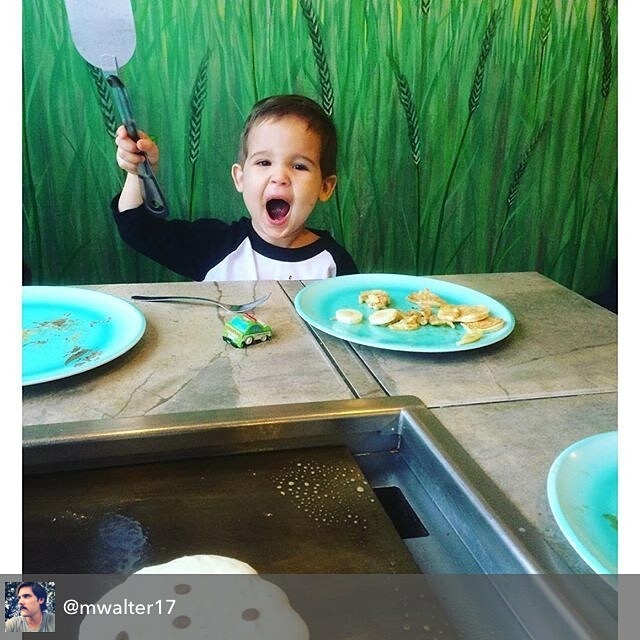 If you have kids, here’s a fun way to get them involved with cooking breakfast, while leaving the mess to someone else. Berry Hill’s Pfunky Griddle gives you a tableside griddle, organic five-grain batter, homemade syrup and a choice of a ton of toppings (from sliced fruit to Butterfinger bits), and you and the family cook everything the way you want it. (If you don’t want pancakes, or you don’t feel like griddling anything, there are other options too.) Then you pay your check, and wash zero dishes. When you’re the only one in a group who thinks the most important meal of the day is dessert, Garden Brunch Cafe can probably solve your problem. Along with a mix of breakfast standards — omelettes, steak and eggs — they have some pancake options that’ll soothe a sweet tooth. Best bet: Bananas Foster pancakes, covered with caramelized bananas and walnuts in a melted butter sauce, topped with whipped cream. 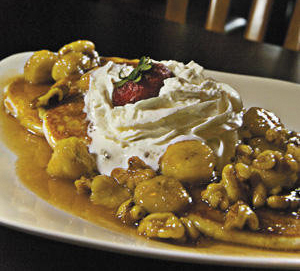 Sometimes they have chocolatey red velvet pancakes too, but the Bananas Foster is always waiting. 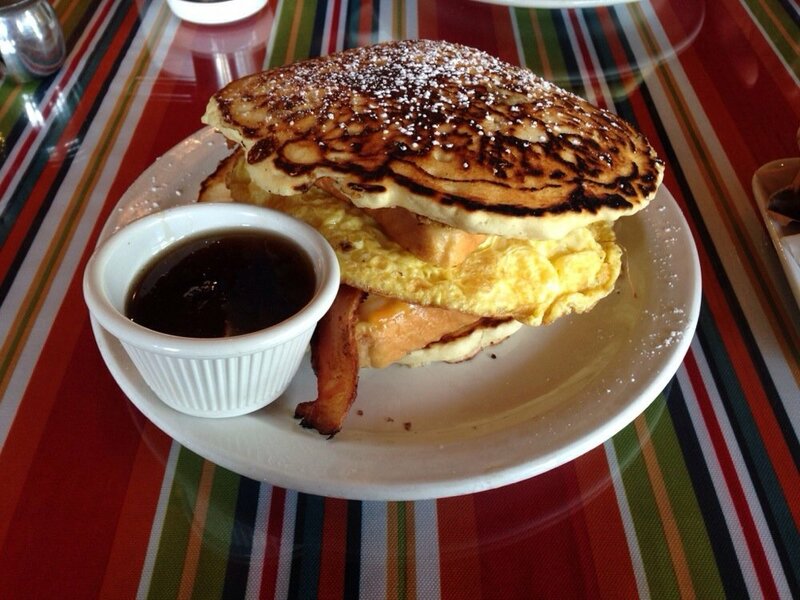 Breakfast and brunch are the restaurant’s specialties… and, as it happens, breakfast and brunch are all they do, so plan accordingly — they’re open Friday, Saturday and Sunday, 9 a.m. to 2 p.m.
Gulch restaurant Party Fowl focuses on “hot Chicken and cold drinks,” but they do OK when it comes to pancakes, too. The fried cheese grit cake appetizers, served with strawberry-jalapeño jam, are a good start to dinner, but their Bird in a Blanket brunch menu item — thin pancakes stuffed with smoked chicken, topped with cream sauce — will probably have you set until breakfast tomorrow. Or at least dinnertime. Nashville’s longstanding Noshville was modeled after classic New York Jewish delis, so naturally, it’s the best place to go if you’re looking for pancakes of the potato variety (i.e. latkes). Since the Midtown location closed, you’re going to Green Hills (or, if you’re traveling, the little Noshville inside the airport) for these crispy, delicious and authentic potato pancakes, served with sour cream and applesauce, as it should be. You really can have it all. Sky Blue Cafe in East Nashville has a pretty creative breakfast menu, including Stuffed French Toast Pancakes — if you choose the eggs/cheese/bacon or sausage option, you basically have an egg sandwich made with French Toast, double-sandwiched inside two pancakes. Kind of. It’s insane, but sometimes you need to go big. 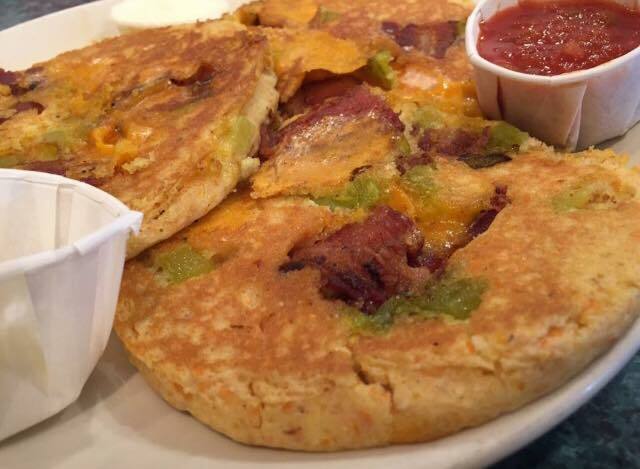 If you’ve been here a minute, Pancake Pantry isn’t new to you — at this point, telling you to go here is like telling someone in Philly to go to Pat’s and/or Geno’s. But hey, it’s a rite of passage, and they really are some pretty solid pancakes. Especially if you break from standard — the sweet potato pancakes with cinnamon cream syrup are worth waiting in line for, as are the sweet, cheesy and bacon-y Santa Fe cornmeal pancakes (pictured above). Hope these picks inspire you to explore a new meal, and maybe a new neighborhood. If you’re looking around Nashville to find the right place to buy a home, let us know if we can help!